The Saturday Market Always Has Something New! There are no winter doldrums at the Saturday market. 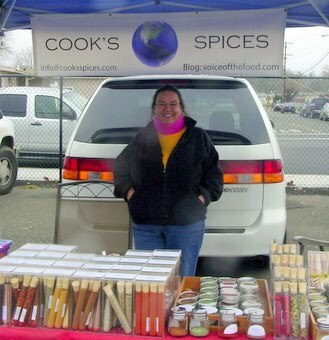 St Rose Winery and Cook’s Spices bring something new and exciting to the market. St Rose is a pioneer is selling wine at the Farmers Market. As well as wine for drinking they offer a special cooking wine. You can taste a wonderful cherry and wine sauce and get the recipe. It would be perfect with duck from Salmon Creek Ranch. 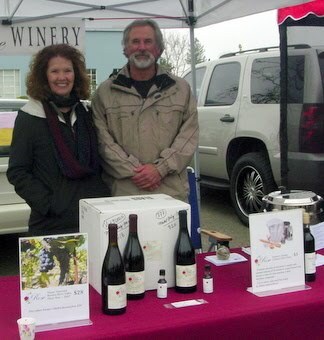 Rick and Wendy Nunes are the wine makers and happy to spend time talking about their wines. Cook’s Spices has a wonderful array of spices. Kim (whose maiden name is Cook) has developed a number of special blends but is happy to work with customers if they don’t see what they want. Everything is packaged beautifully but with the cook in mind. These are items you will want to buy for yourself but would also make great gifts. The Parsons Tomato is Back! After a year off for improving their facilities, the Parsons Tomato is back! The secret to the great tomato taste is the tomato is never refrigerated. You can have that blt all year round! 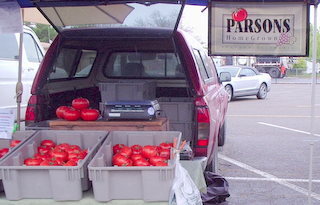 Look for Parsons Tomatoes at the Wednesday and Saturday Market. 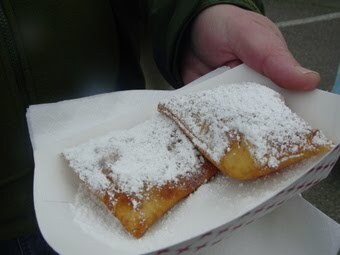 What’s new at the Saturday Market? 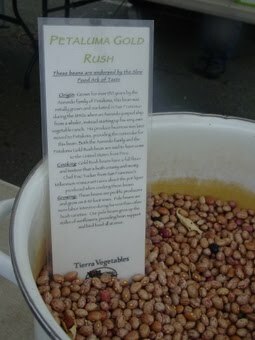 veget has a wide variety of dried beans and chilis, many unusual heirloom varieties. If you bean usage is limited to red, white and black – this is a chance to change it up. from the Wednesday night market. 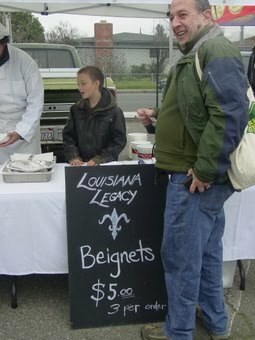 Louisana Legacy fries them up on the spot. Deb Bachman of the Sweet Factor looks at all the beautiful produce especially greens in the market this time of year. 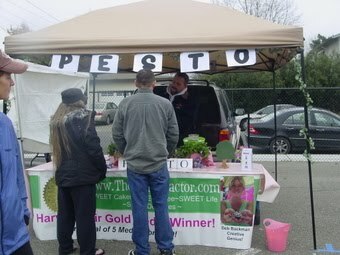 Then she turns them into pesto and other versatile products. Right now she has stinging nettle pesto –better than a boatload of kale! Read the label more important than ever.